Dr. Small gained his PhD from the University of Technology, Sydney in 2000. Previously he has studied Geomatic Engineering and Commerce at the University of New South Wales and Liberal Arts at the University of Sydney in addition to philosophy at the Centre for Thomistic Studies. He has considerable industry experience in the property development industry in both the private and public sectors, where he worked for over a decade before moving into academia. 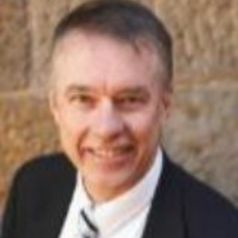 He has maintained close connections to the property and development industry through intensive involvement with the Australian Property Institute and various consulting activities, especially with HillPDA and Estate Master. His research interests are grounded on an interest in the the philosophy of property rights and the mathematical modelling of property interests. These foundational interests support a wide spectrum of applied interests ranging from customary property policy and integration to the analysis of policy options for affordable housing.